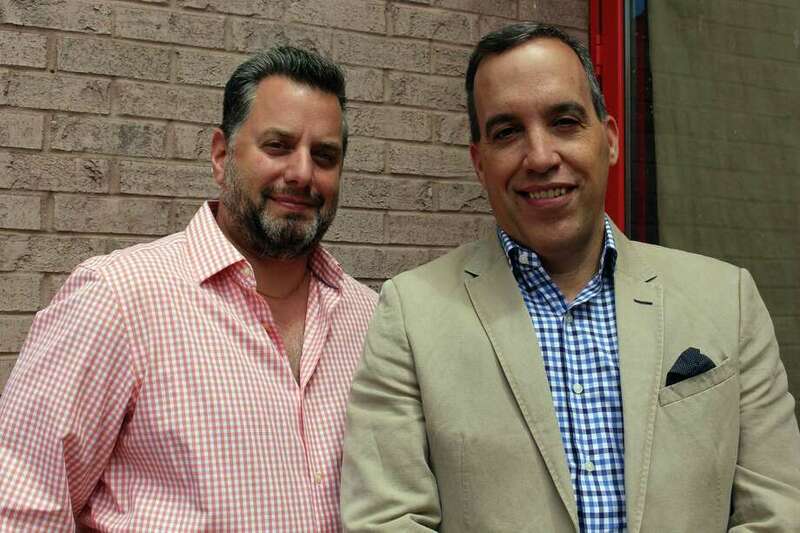 David Snyder and Ted Vincent are preparing to open the new Brick Walk Tavern this summer. Longtime friends and foodies David Snyder and Ted Vincent are planning on creating a sophisticated yet approachable atmosphere when they open Brick Walk Tavern this summer. The duo is preparing to open the tavern at 1275 Post Road in the Brick Walk plaza over the summer, with construction of their space under way. The concept for the space is to bring an upscale dining experience in a tavern setting. Brick Walk Tavern is opening the in a newly renovated space that had housed both the Bagel King and Hana Tokyo. The storefronts were combined to provide roughly 3,800 square feet of space for their build out. Redevelopment began in January. The duo plan to employ around 35 people once the restaurant is open. The duo said the idea of opening their own place had been on the table for years before they decided to merge their skill sets. Snyder has been in the restaurant and hospitality business for several years, working as an executive chef for restaurants in New York and Fairfield County, including Char in Greenwich. Vincent is bringing his business background to the mix. The Fairfield resident has owned a series businesses including a financial planning company in Norwalk, Vincent Wealth Management. They decided to set up shop in Fairfield where they believe their venture can offer customers a welcome change, according to Vincent. Snyder will be taking point on the menu. The restaurant will feature a mix of classic tavern food with a twist, including a burger, roasted chicken and meat loaf. There will also offer different seasonal and chef-inspired selections as well as farm-to-table and wild-game meals. They will also feature a pastry chef who will handle dessert orders. The interior will feature a large bar space with a fireplace and lounge. The dining room will seat around 50 people. “It will give the community an essence of real upscale dining in an environment that you can go in with a T-shirt and a pair of pants and feel very comfortable and enjoy yourself with,” Snyder said.